An optional accessory, the cast iron griddle plate rests over any two side burners. Ideal for pancakes, French toast, and pan searing its unique design locks on to your Lacanche grate. To ensure even heat across the surface, both burners are typically set to the same level. A three-sided trough and gentle slope allows for adequate runoff. 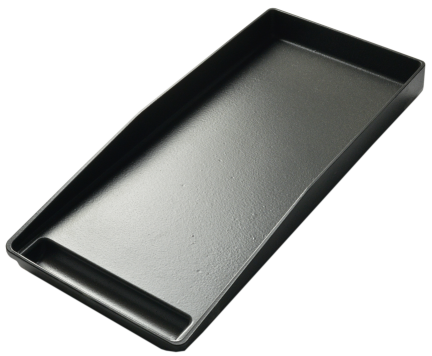 Griddle plate dimensions are 20 inches by 10¼ inches.